"...Your frost WILL BE gone..."
Like the KE2 Temp, the KE2 Temp + Valve Control replaces a thermostat and a defrost time clock in air defrost applications, simplifying your installation. 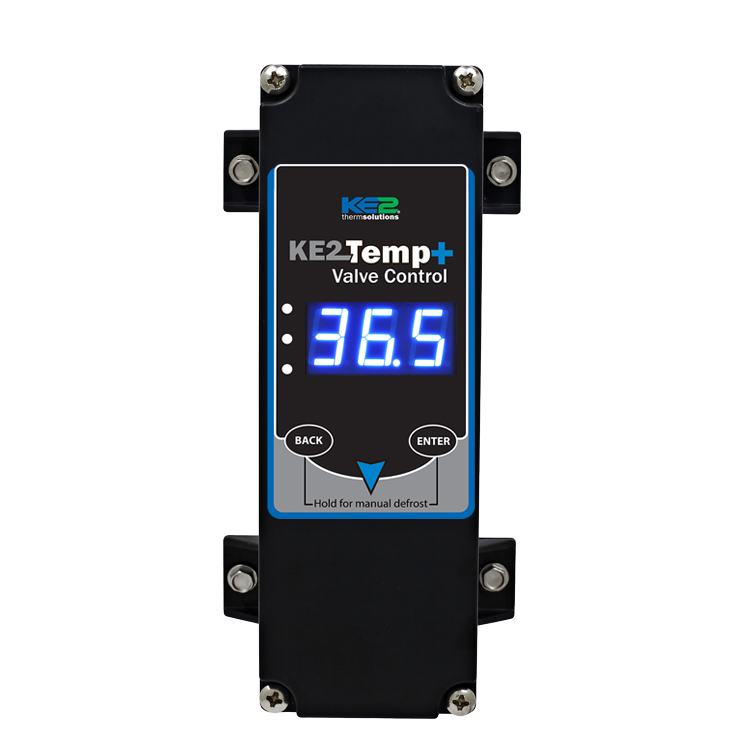 In addition, the KE2 Temp + Valve drives an electronic expansion valve, electronic evaporator pressure regulating valve or an electronic hot gas bypass valve. Controls an EEV, EEPRV, or EHGBPV providing much tighter system control than possible with mechanical controls.